Squad 921 Assists With Commercial Vehicle Fire on New Jersey Turnpike. 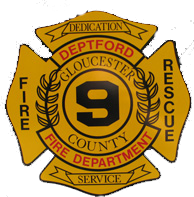 On Tuesday October 2, 2018 Woolwich Fire Company, Deptford Fire Department, and Westville Fire Department were dispatched to the New Jersey Turnpike at mile marker 18.8 northbound for a commercial vehicle. 2501 signed on responding and was advised by communication that they were receiving multiple calls of the trailer portion of a tractor trailer well involved in fire. 2501 had Squad 921 enter the highway to assist. Engine 2513 and Tender 2514 arrived to find the rear portion of the trailer well involved in fire and started suppression. Squad 921 on arrival was ordered to provide a blocker engine and send its crew forward. The fire was extinguished and the crew overhauled the burnt portion of the trailer.